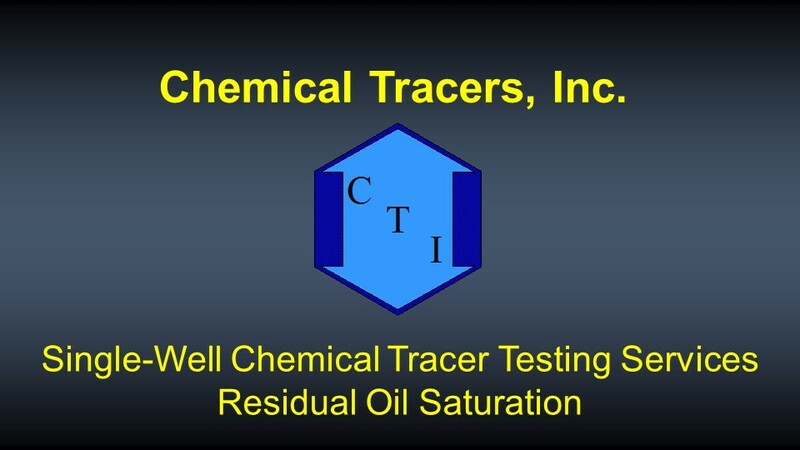 Residual Oil Saturation (Sor) | Oil Field SWCTT | Chemical Tracers, Inc. Measuring Sor via the Single-Well Chemical Tracer (SWCT) method is the skill and experience trademark of Chemical Tracers, Inc. (CTI). With over 600 field tests completed across 37 plus years in almost every oil producing province in the world CTI stands alone as the premier technical leader in this very specialized area of well testing. We offer a complete service package of SWCT field testing. We provide custom field equipment dedicated to fluid metering, fluid injection, media filtering, and chemical tracer injection and on-site analysis. Non-destructive, in situ method for measuring Sor. Can be carried out on wells that produce any combination of oil/water cut. Can be carried out on old or new wells, in cased or open hole completions. Results typically represent hundreds of barrels of pore space in the test zone. Sor results usually measured within ±2 saturation units. Test Sequence is completed in one to two weeks. If you are not familiar with the SWCT test method, we invite you to have a look at the explanation video above.